Join us for 21 days of prayer leading up to our Easter Services at Crossroads. 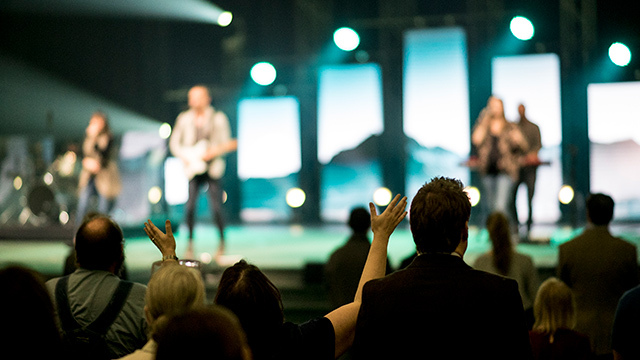 Throughout the three weeks of this prayer journey, our weekend worship services will feature teachings on prayer and personal stories/testimonies that speak of the power of a healthy prayer life. Each Monday we will communicate the week's prayer guides on this page, on social media and via email with our entire church family. We encourage everyone to participate in a daily time of prayer and Bible study. If you have yet to establish this habit, use this 21-day prayer journey to personally experience the awesome blessing of daily time spent with God. Throughout this prayer journey, we will also post pertinent information and weekly videos on this page, so bookmark it in your browser, and visit often! If you would like to receive email updates, but are not yet on our email list, please click here. PRAISE JESUS FOR WHO HE IS! FILL US WITH YOUR HOLY SPIRIT! BE PERSISTENT IN PRAYER FOR OUR COMMUNITY! As a church, we are committed to Serve and Solve Community needs in partnership with others. Father, may we thrive in having prayer define our lives in the same way it did for Jesus and His disciples. May we individually and collectively boldly approach you in praise, confession, listening and intercession on what is most important to you and the world around us. DRAW US TO BE A PEOPLE OF PRAYER! Father, may we live in utter humility in every dimension of our lives as Jesus embodied in His life (Phil 2:5-8). May we come to a deeper understanding of your magnificence and power. By the power of your Spirit, help us to live in confident humility and dependence upon you as we live in honesty and integrity with others. We have special events planned for each week of our 21 day prayer journey. Check here regularly for updates. Our Newburgh and West campuses will be open for prayer. We want to see our community and neighborhoods the way God sees them. One of the best ways to do that is through prayer walking. This is simply walking through a neighborhood, and using what we see around us to fuel prayer for the people who live there. You can prayer walk your neighborhood, or join with others at one of our predetermined locations around the Evansville area. Click here for neighborhoods and meeting locations. Click here for a Prayer Cycle Guide on how to pray. Eric Cummings and Austin Maxheimer will teach about “Neighborhood Engagement”, and then we will put into practice what we’ve learned through a service project for Community One. This Easter, we know that we will have many people on our campuses who are hurting and broken. We want to take this opportunity to pray that all those who come on campus will find new hope because of the victory we can experience in Jesus. Just as Jesus and His disciples spent extended time in prayer, we want to offer similar opportunities to you. Portions of our prayer time will be led; however, you may come and go as you wish.